Available Now: This stunning newly constructed home offers modern finishes throughout a huge, spacious layout! Enter into your beautiful living room featuring a wide open first floor living, dining and kitchen area with wood flooring throughout. The kitchen features luxury cabinets and stainless steel dishwasher, microwave, fridge and oven with range-hood. Head downstairs to your finished basement which provides an extra living space to turn into a rec room, play room, den, office or whatever you choose. The rear yard is enclosed and offers private outdoor living space.~Upstairs is the master bedroom with its own private balcony. The master bathroom boasts porcelain polished shower walls, grey and white pebble mosaic shower floor with sliding glass doors and a grey oak double floating vanity for two. Venture up a chic steel spiral staircase to view Philadelphia's skyline on the roof deck. Roof top deck offers great views, entertainment and outdoor living space.~This gorgeous townhouse is located right next to 30th and Jefferson Street Park with a basketball court, baseball field, and playground. 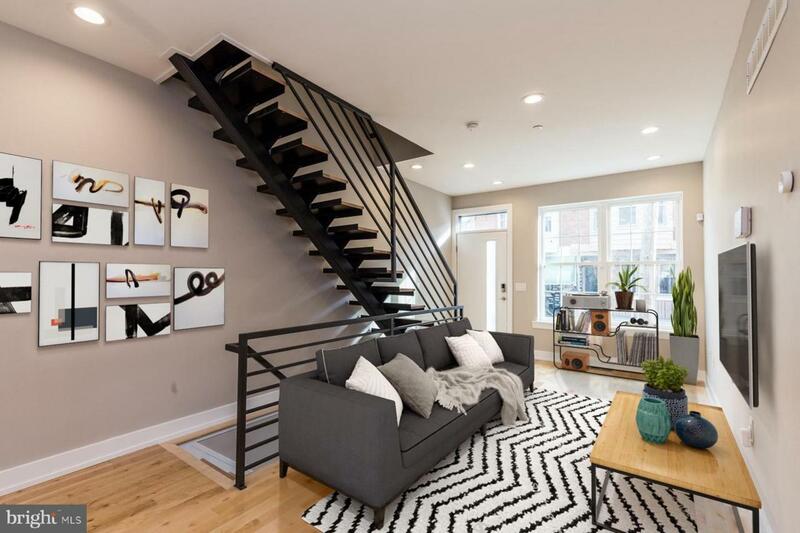 The house is in walking distance to popular coffee shops, Cafe de Lave and iMunch cafe and restaurants, 29 Oxford Restaurant, Otto's Taproom, and Spot Gourmet Burgers, and the local favorite fitness studio, Fit Academy with easy access to the Art Museum and 76! For security and comfortability, the home is upgraded with Vivint integrated smart thermostat and security system (security available through tenant subscription). Washer and dryer, and blinds for the living room and bedrooms will be installed prior to move-in. Schedule your showing today! Generally, first month, last month, and one month security deposit due at, or prior to, lease signing. Other terms may be required by Landlord. $45 application fee per applicant. Pets are conditional on owner's approval and may require an additional fee, if accepted. ($50/month per dog and $25/month per cat). Tenants responsible for all utilities: water, gas, electricity, cable/internet. Listing courtesy of Jg Real Estate Llc.